It would be incorrect to claim that Prometheus turned out to be the modern sci-fi masterpiece that those initial trailers made it out to be. As a loose prequel to Ridley Scott's own Alien, it offered up a film that somehow managed to be both overplotted and underplotted all at once. But those visuals, the atmosphere, and the set design... for everything that went wrong, something else went really, really right. As a cinematic experience, Prometheus is an exhilarating ride that manages to be entirely absorbing from start to finish. 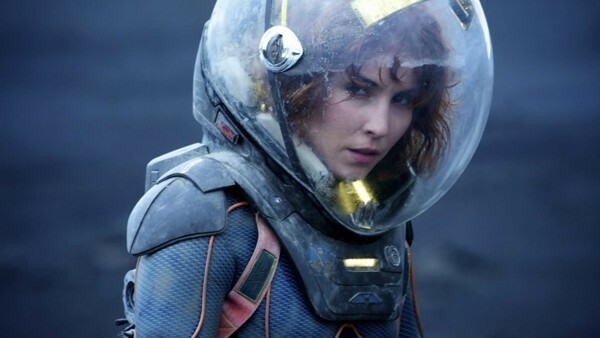 Set many years before the events of Alien, the movie chronicles the ill-fated exploits of a crew, led by Noomi Rapace's Dr. Elizabeth Shaw, who travel to a distant planet to "meet their makers." One of the biggest criticisms that prequels tend to face is that there is little tension; that we already know which characters will survive. This wasn't the case here; due to the time frame, none of the characters were familiar, which allowed Prometheus a rare strength that most prequels inherently lack. Though it's a shame that so many of Prometheus' big questions were left hanging by the end of the film, it still proved to be a very interesting and - at times - intelligent slice of sci-fi cinema - one which carefully avoided damaging the legacy of the 1979 classic. It isn't perfect, but there's still much here to appreciate.